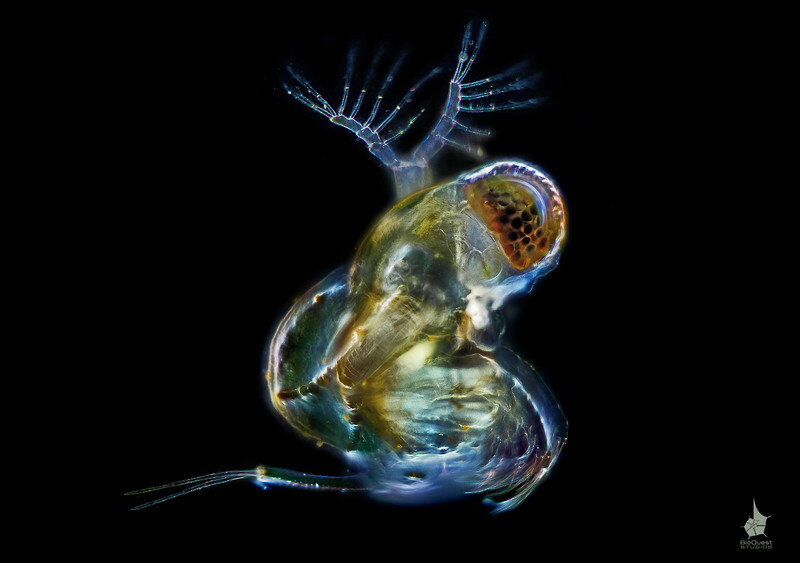 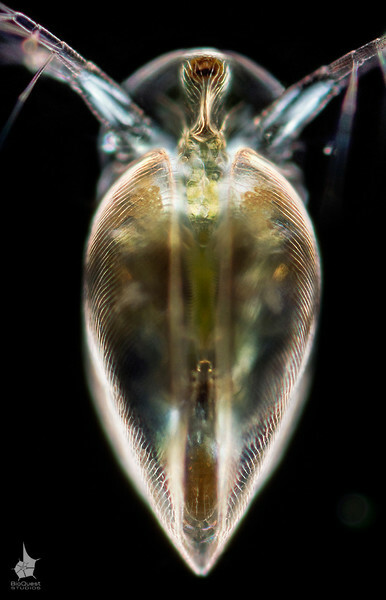 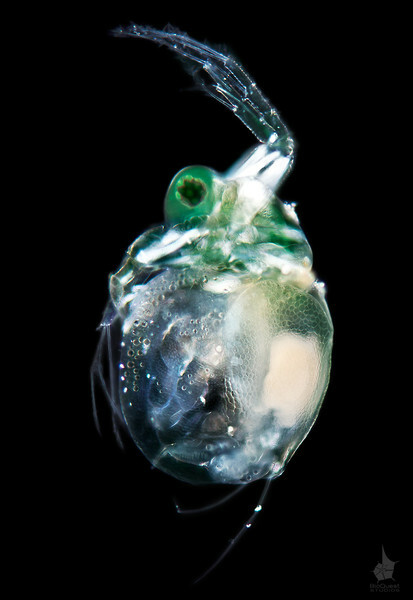 Moina micrura, a water flea. 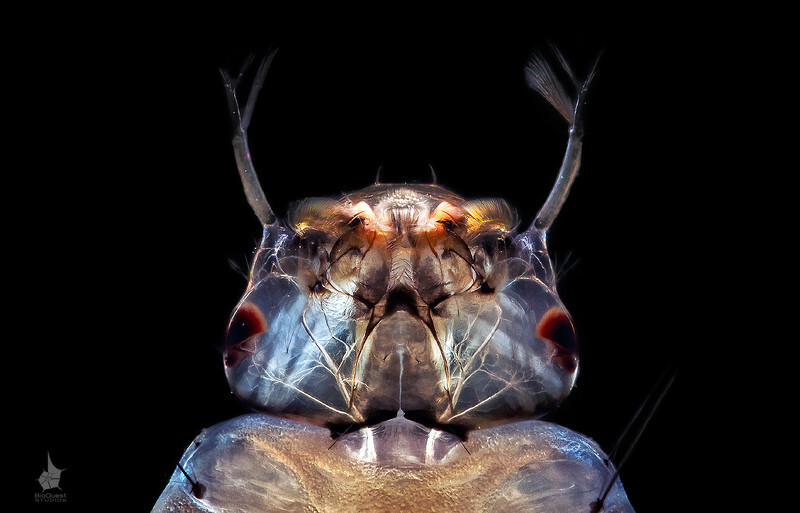 The size of the animal is about 0.5 mm. 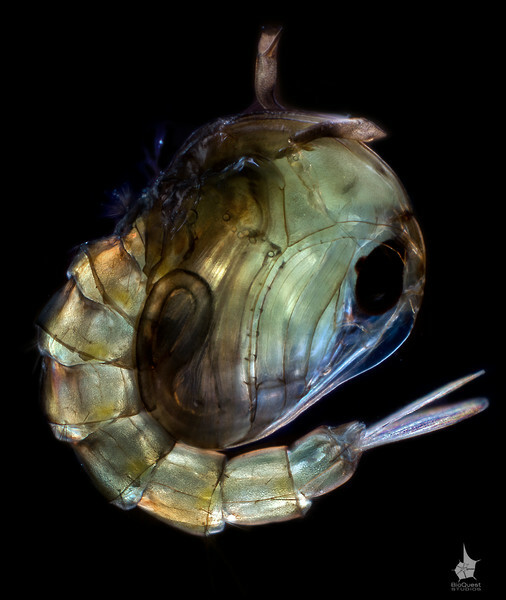 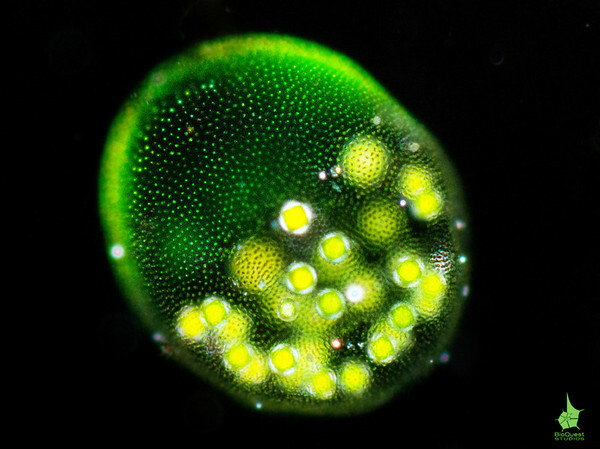 Inside the crustacean there's a resting egg visible (on the right side), which is called ephippium. 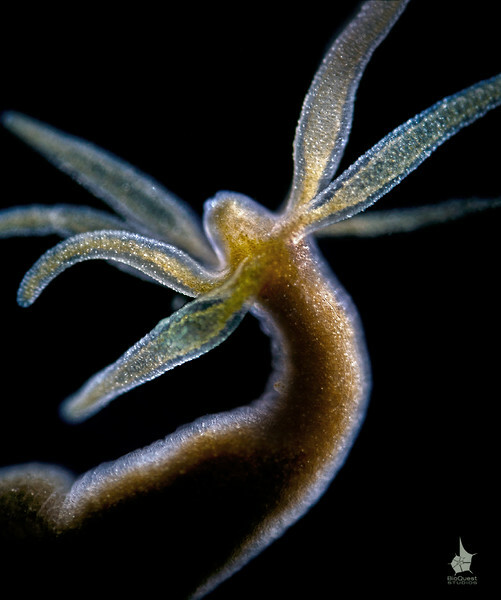 This is a sexual stage in their reproductive cycle. 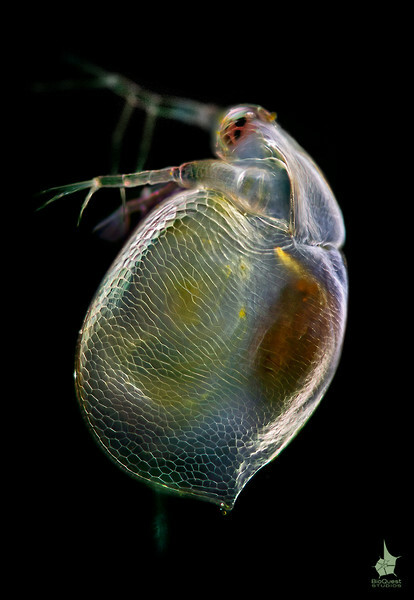 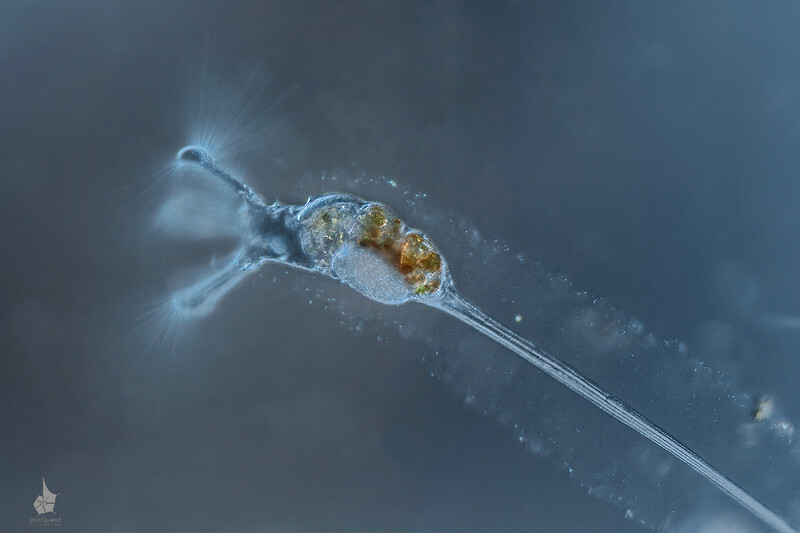 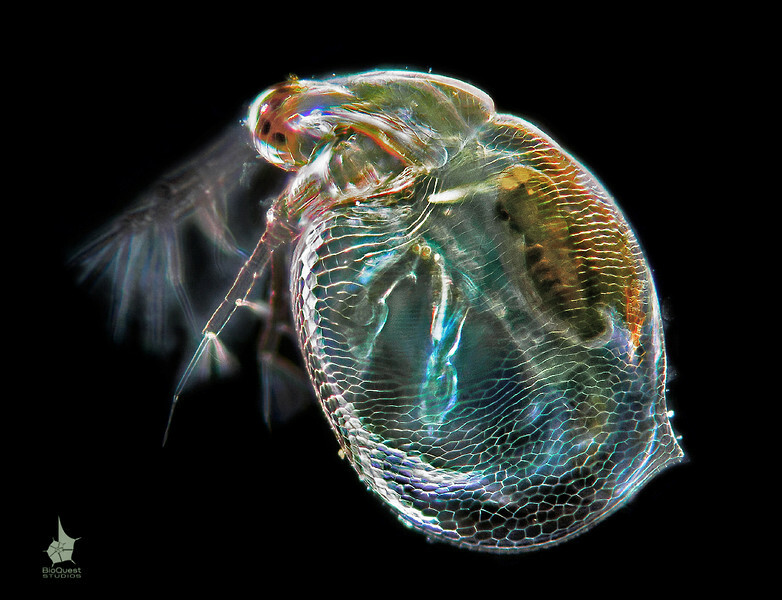 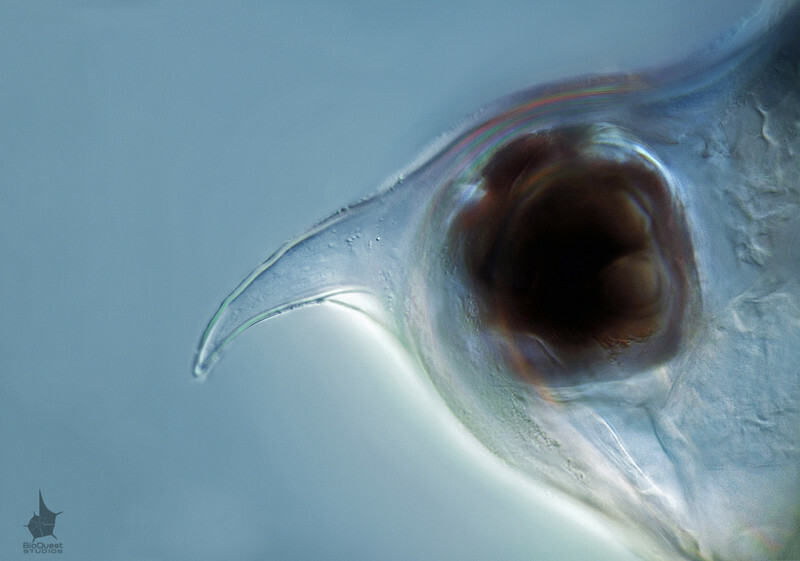 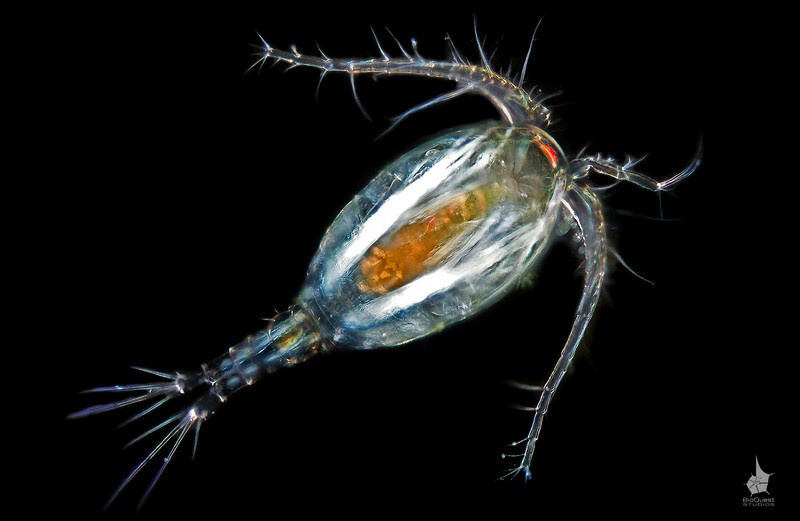 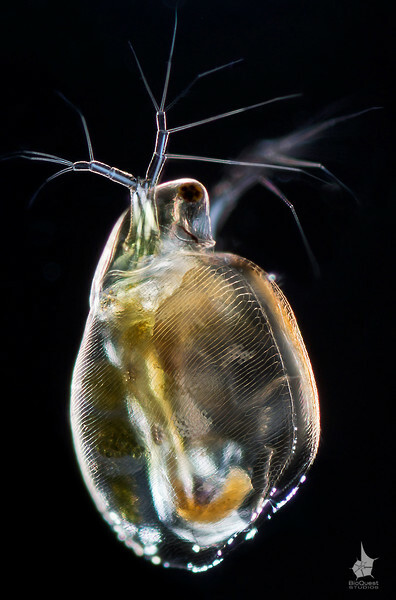 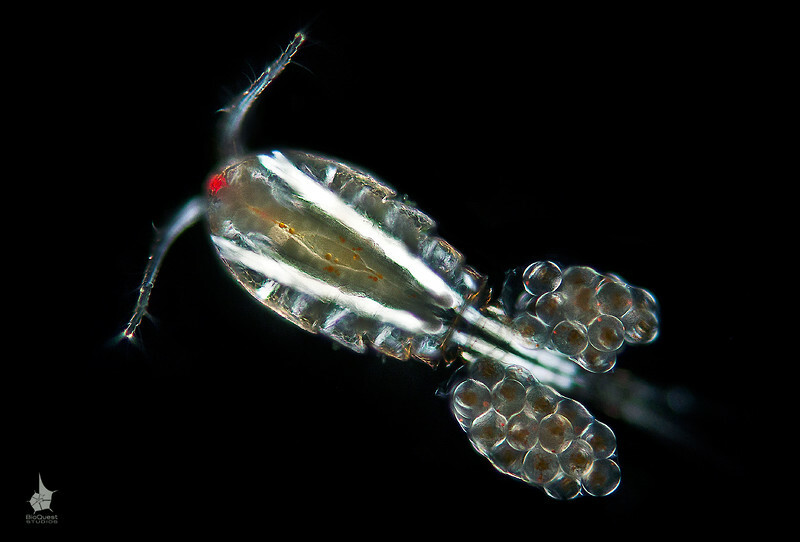 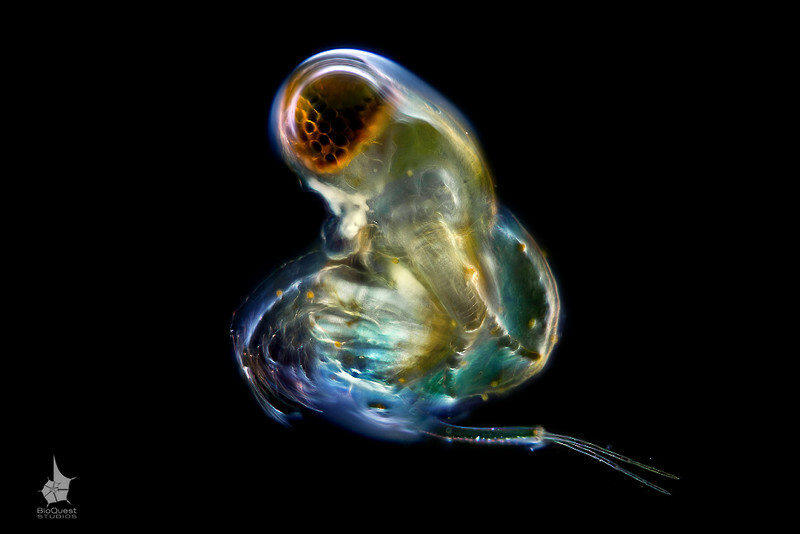 Water fleas usually reproduce asexually, however, in autumn or in harsh environments they switch to the sexual reproduction and an ephippium is formed out of a fertilized egg.